1. Does Elkay sell its plastic bags directly to end-users? 2. Where does Elkay get its products? 3. What's in it for me - the wholesale distributor - if I choose to have Elkay as my source and supply of plastic bags for my customers? 4. As a distributor, I've lost customers because their manufacturing facility moved to Asia and the factory only uses an Asian source for their poly packaging. How can Elkay do anything about that? 5. What does Elkay do to drive high standards of quality in its services and products? 6. What does FDA compliant mean? 7. What does FDA regulated mean? 8. What is a biological product? 9. What are Bovine-Derived Materials? 10. What is a Federal Specification? 11. What is a Federal Test Method? 13. What does "Kosher" refer to in packaging? 14. What is Latex Free? 15. What is Oxygen Permeance (PO2)? 16. What is meant by a Barrier Bag? 17. What is an Anti-Static Bag? 18. Why are Anti-Static Bags pink? 19. Why do Anti-Static Bags feel greasy and why do some come with a white powder on them? 20. What is the test method and conditions (temperature and relative humidity) used to determine acceptable anti-static properties? 21. How do I measure these bags? Elkay Plastics, as a manufacturer of plastic bags, sells only to wholesale packaging distributors serving the end-user and consumer markets. Feel free to contact us if you need assistance in locating an Elkay distributor near you. Elkay gets its poly bags from both domestic and foreign manufacturers. Worldwide sourcing allows Elkay to take advantage of the best possible pricing and pass that advantage to its customers. Elkay can assist you and literally be your partner in building your business and supplying plastic bags to your customers. Regardless of the poly bag request, you can get that request filled. Elkay has the widest selection and broadest line of flexible packaging in stock and available for immediate shipment. Thanks to our extensive in-stock product line and custom manufacturing capabilities, Elkay is ready to help you become the one-stop-source of poly bags for all of your end-user needs. Nationwide "Just-In-Time" order fulfillment is what Elkay delivers. Eight fully-capable service and distribution centers are strategically located throughout the U.S. in order to assure that every distributor has the ability to provide superior service for its end-user customers. Fast shipping and in-stock product mean that you can trust Elkay to be your "Just-In-Time" supplier of poly packaging products. Let our warehouse be your warehouse, reducing your inventory costs while increasing the number of products available to your customers. Elkay offers your sales force "street smart sales support". Direct field sales support is provided through Elkay's Sales Consultants who are ready to be an important extension of your sales force. The Elkay Sales Consultant is available for analysis and advice regarding products, markets, bag applications, training and end-user sales calls. Elkay's packaging is designed for warehouse efficiency. Elkay packaging helps your warehouse increase efficiency with clear labeling and bar coding. Elkay bags are packed in convenient inner packs that help prevent loss or damage. It's easy for Elkay to help under those circumstances and we do it frequently. Elkay's extensive sourcing options in Asia allow us to continue to provide product to your customer. You (and your customer) can depend on Elkay to deliver the same high quality products and services directly (and in-country) from our manufacturers to your customer's Asian manufacturing or assembly locations. You can therefore save time, save money, assure quality, and save the customer. For over 40 years, Elkay has provided distributors with quality products and dependable service. Elkay's Quality Management System ensures continuous improvement in service and quality. The company's quality system undergoes continuous audits to assure standards are consistently maintained and are compliant with ISO 9001:2008 standards. FDA compliant means that products are not regulated by the Food and Drug Administration, but that they comply with the regulations as stated in the appropriate CFR's (Code of Federal Regulations). FDA regulated means that the Federal Agency (FDA) oversees and regulates product approvals, processes/processing and permitting of use prior to introduction into commercial markets. Products such as vaccines, blood and blood components, allergenic initiators, somatic cells, gene therapy, tissues, and recombinant therapeutic proteins made from human, animal or microorganisms are biological products. Materials sometimes used to manufacture biological products including vaccines. Many cow components are used because they are large animals used for food and their by-products are readily and economically available. Federal Specifications describe the essential and technical requirements for items, materials, or services bought by the Federal Government. A Federal Test Method is a standard prepared in order to eliminate unnecessary or undesirable variations in general testing procedures, and to provide comparable measurements of the characteristics of different materials. Shelf-life is important in products that are effective, useful or suitable for consumption for a limited period of time. They are expected to deteriorate or become unstable over time. Therefore a storage period is assigned to assure that the material will perform satisfactorily in service. Proper storage conditions for poly bags avoid sustained temperatures over 90 degrees F and under 32 degrees F. Sustained exposure to sunlight should also be avoided when the film material does not contain any anti-UV additives. Kosher refers to products that do not include any animal fats nor are animal fats used in the manufacturing process. Kosher products must be certified as "Kosher" through a Rabbi of the Jewish faith. Latex Free means that there is no rubber (Latex) in the product. The ratio of oxygen transmission rate to the difference in partial pressure of O2 between the inside and outside of the material. Barrier bags offer protection from one or more environmental factors. They are typically "foil" bags. There are quantifiable levels of barrier protection for these films. Moisture Vapor Transmission Rate (MVTR) for water barrier, Oxygen Transmission Rate (OTR) for air permeability, Gas Transmission Rate (GTR) for non-oxygen vapors and Optical Density (OD) for light barrier properties. These are specifications that are frequently available from an end-user of the bag and they are a key component in selecting the proper material for use as an effective barrier bag. Barrier bags are also available in clear films, but they typically provide lower protection levels that those with buried metal construction. Anti-Static bags are "non-tribocharging" - meaning that they do not create static electricity in and of themselves. They will not generate a "spark" when opened, closed, filled, emptied or handled. However, they DO NOT protect the component inside the bag from external static electricity. They are recommended for use with non-critical components that are being handled in a static sensitive environment, for example parts kits or instruction packets. Richmond Technologies began the trend to color anti-static polyethylene with a pink dye to distinguish it from plain polyethylene. The pink is a tint. This has become the industry standard for the appearance and instant identification of these bags. The anti-static additive is an oil-based additive and gives the bag a smoother and slightly greasy feel. Over time this additive tends to "bloom" to the surface of the bag, reducing its effectiveness. Therefore, it is recommended that users observe no more than a one-year shelf life on anti-static bags. The additive can also cause anti-static bags to "block" or stick together and make them difficult to open. Most manufacturers will dust their anti-static film with corn starch or some other suitable powder to assist in reducing blocking. 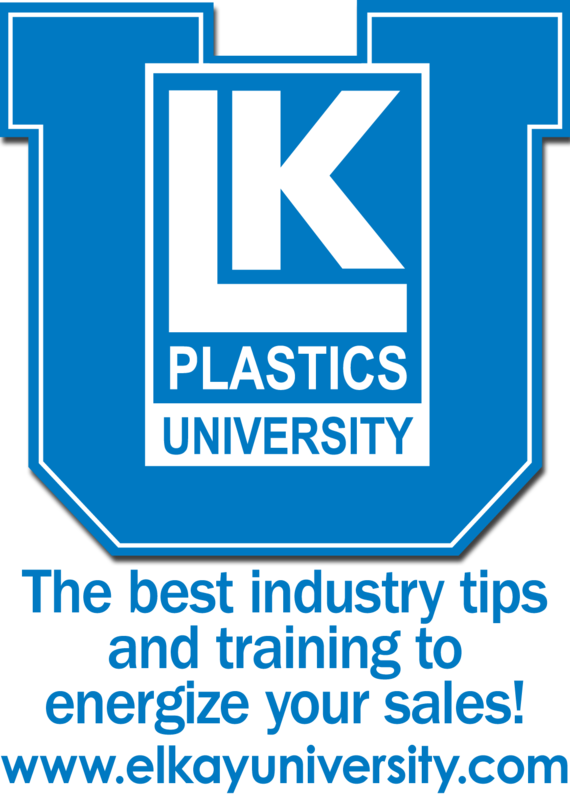 There are numerous testing standards and procedures for testing anti-static properties of plastics. The most frequently done testing in plastic packaging products include, but are not limited to, Military Specification (MIL-81705D), NFPA 99, and ASTM D257. Mil Spec is used to test both the surface resistivity and static decay time at the most difficult conditions. The range of relative humidity is kept at 15 +/- 3% and the temperature is kept at 73 +/- 5 degrees F. All testing standards call for testing both the inside and outside of the bag or package. Antistatic bags are measured just like regular poly bags. However, electro-static discharge (ESD), Mil-Spec, and barrier bags are really pouches - not bags. They should have 2 and 3 seals that measure either 3 1/3" or 3 ¼" wide. The bags are then measured in terms of their inside diameter (width) since this is the usable area dimension with is exclusive of the seals.